A powerful story, rich in history and detail, despite not being set in any real historical events. Yes, the first half an hour is a tad hard to follow, with a tremendous amount of new characters being rapidly introduced in a complex mish mash of time and geography. However, once events start unfolding, the story brims with magic and detail, and you find yourself engrossed. By the way, I don't mean magic in the fantastical sense of the word. I mean that Kay has created an alternate world, different from our own, and yet not so foreign that it doesn't ring true. It is simply a complex, rich place with traditions and beliefs and coincidences that start to weave together in a way that is full of mystery, awe and beauty... as well as a great deal of ugliness and hate. The singing is wonderful, really filling out the politics, religion and geography of the region that start to feel familiar and tangible half way through the book. The mass of characters fill out, becoming very discernable individuals, clashing and coming together to tell this story. The story seems simple, but is brought together in a complex way. Wonderful narration. And the singing! Superb. 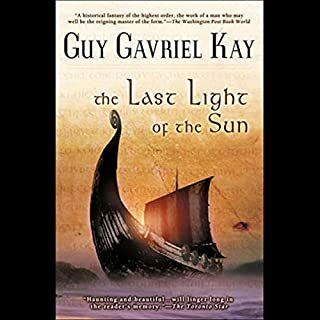 That being said I found Last Light of the Sun hard to get into and the intro to the mosaic books very confusing. Now that you know were I stand I will address A Song for Arbonne. The beginning of this book is tough. There are a lot of characters with strange names introduced very fast. This is hard to handle in the printed version. I found that with the wonderful character voices used in the audio version actual names became less important than knowing who was who from there voice. Buy the time the story gets rolling you learn the names. The descriptive writing in this book is breath taking. People and places come to life. If you are a fan of music and the idea that something as everyday as a song can change the world this book is for you. Often in audio books male readers butcher the female characters. I think this narrator did as good of a job with the females as the males. Multiple characters sing, both girls and boys, and they were all very well done. I really liked the slight but present troubadour style that was applied to the singing. To sum up: A little hard at the very beginning but well worth the effort. I kept driving around the block! I listened to this book driving back and forth to work...there were days I drove miles out of my way! I did not realize that I would love this type of story much. The language is beautiful. 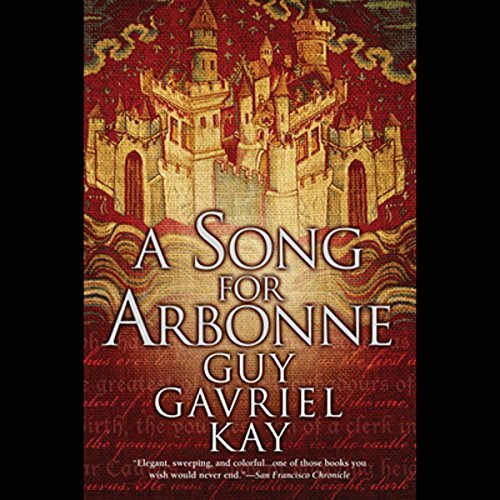 Where does A Song for Arbonne rank among all the audiobooks you’ve listened to so far? This is a top ranked story. I can't possibly give books a number rank, I've listened to too many. I'll go with percentages. This is a top ten percent book. I've never listened to or read anything by Kay, but I'll be diving into his works after this one. The shadowing of history. 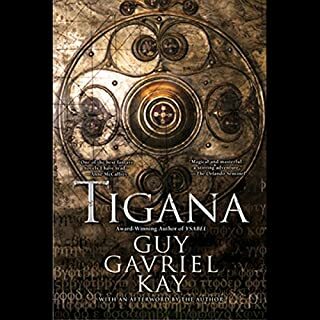 This book mirrors, in a fantasy world, the Albigensian Crusade and the story of the Cathars. Blaise definitely, but his women were soft and well done. No annoying high pitched voices or impressions that he was trying too hard. It made me sigh. At the end. Because it was over. What made the experience of listening to A Song for Arbonne the most enjoyable? The main character and his development are exceptional. The characters and unexpected plot twists... and some of the expected ones. He is consistent with his characters and even made the short singing parts worth hearing. No, you have to pay too close attention to listen for very long periods. Excellent use of a credit. 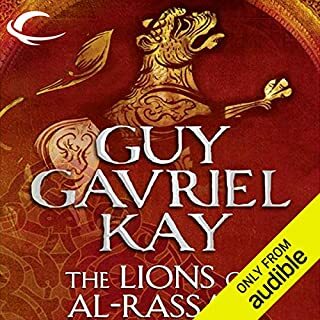 Though it has received much less recognition than say, The Lions of Al-Rassan, I actually think A Song for Arbonne might be my favorite of GGK's works. So powerful and moving. Beautifully, BEAUTIFULLY read (and sung!) by Euan Morton. This is not light reading, but you will not want to put it down. Wonderful book, brilliantly performed. My only problem was the pronunciation of what I assume was meant to be "jongleur". It is not, I repeat, not "joggler". And indeed I would recommend this book to friends, and have done so. This narrator was generally terrific. One of the few with the ability to render both male and female voices in a believable way. Yes. Some moments moved me to tears. 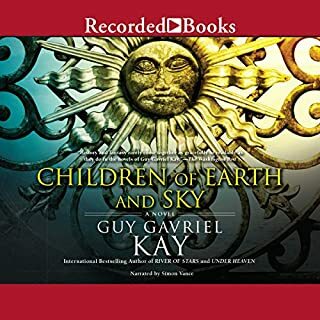 As a fan of Guy Gavriel Kay I am used to his style of building up a story through different viewpoints and jumps backwards and forwards in time, so I didn't find the beginning of the novel as confusing as some people might. As the story went on it gripped more and more and in the end I was sad to leave this world and these characters. 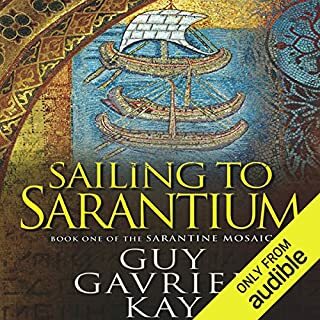 The narrator has slight problems with voicing the women, but overall I thought he did an excellent job with this complex novel, and the singing was a wonderful bonus, particularly important for this story. An excellent listen. Genuine storytelling. A powerful and gripping narrative combined with elegant and captivating prose. All excellently performed by a narrator that enhances rather than distracts from the story. 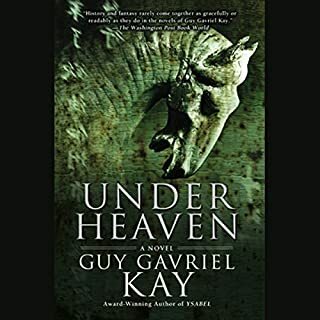 I'm off to listen to another book by GGK!